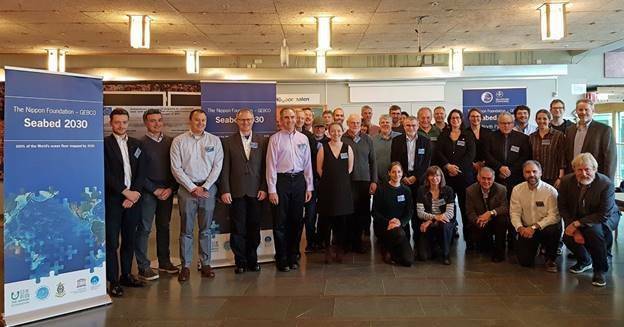 The first regional mapping meeting for The Nippon Foundation-GEBCO Seabed 2030 Project has been held in Stockholm, covering the Arctic, Antarctic and North Pacific regions. The meeting, held last month, brought together ocean mapping experts, oceanographers, scientists and private companies to discuss various technical elements of the Project including data acquisition, visualization, expedition coordination and the role of future technologies. The three-day meeting was chaired by the Regional Data and Coordination Center (RDACC) heads: Dr. Martin Jakobsson and Dr. Larry Mayer, who lead the RDACC covering the Arctic and North Pacific; and Dr Boris Dorschel, who leads the RDACC covering the Southern Ocean. With the goal of mapping the entirety of the world’s ocean floor by 2030, The Nippon Foundation-GEBCO Seabed 2030 Project divides responsibility for different areas of the ocean between four RDACCs. These centers are located at The Alfred Wegener Institute (AWI), Germany, covering the Southern Ocean; The National Institute of Water and Atmospheric Research (NIWA), Wellington, New Zealand, covering the South and West Pacific Ocean; The Lamont Doherty Earth Observatory, Columbia University, U.S., covering the Atlantic and Indian Oceans; and Stockholm University, Sweden, in partnership with the University of New Hampshire, U.S., for the Arctic and North Pacific Ocean. Regional products are fed to the Global Data and Coordination Center hosted at the British Oceanographic Center in Southampton, U.K. The meeting, held at Stockholm University, heard presentations from individuals representing a variety of organizations including research institutions and private sector organizations that have acquired new bathymetric data since the last GEBCO grid was published in 2014; the most recent update to the global map of the seafloor. This data will be donated to The Nippon Foundation-GEBCO Seabed 2030 Project, and will represent a significant increase in the area of the world’s ocean floor that has been mapped using high-resolution direct measurement techniques. In total, the meeting identified numerous sources of new bathymetric data. The combined area of these contributions in terms of square kilometers will be announced later this year. 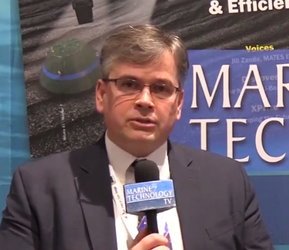 Organizations presenting details on their mapping efforts to the group included the Canadian Hydrographic Service; the Danish Geodata Agency; the Italian Ministry of Defense; the Norwegian Hydrographic Service; the US National Geospatial-Intelligence Agency; Italy’s National Institute of Oceanography and Experimental Geophysics; Fugro; Kongsberg Maritime; TE Subcom; the Geological and Mining Institute of Spain; and NOAA’s National Marine Fisheries Service, among others. Following updates on mapping activities, the meeting broke out into working groups to discuss how to overcome technical challenges in compiling data from multiple sources into a final gridded product, with decisions taken on the specific algorithms to be used. The working groups also established formal Regional Mapping Committees; a group of regional experts who will work with each RDACC in identifying additional data sources and facilitating its collection in their regions.